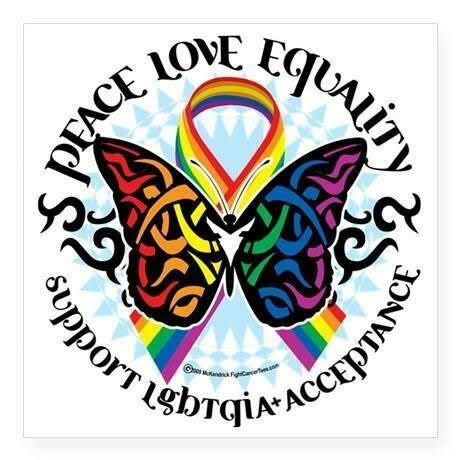 Unitarian Universalism is very supportive of Lesbian, Gay, Bisexual, Transgender, Queer, Intersex and Asexual (LGBTQIA+) people, their families, and loved ones, and has officially welcomed this community since 1970. We believe that our first principle, respecting “the inherent worth and dignity of every person,” applies equally to people of all sexual orientations and gender identities. First launched in 1990, the Welcoming Congregation Program grew out of an understanding that widespread prejudices and ignorance about lesbian, gay, bisexual, transgender, queer, intersex and asexual (LGBTQIA+) people existed within Unitarian Universalism, which resulted in the exclusion of LGBTQIA+ people from our congregations. This volunteer program was developed for Unitarian Universalist congregations that want to take intentional steps to become more welcoming and inclusive of people with marginalized sexual orientations and gender identities. BBUUC took several years to incorporate education, congregational life and community outreach focused on LGBTQIA+ issues, and was awarded recognition as an “official” Welcoming Congregation in 2009, after meeting the requirements and voting unanimously to affirm this designation. In 2018, the Welcoming Congregation Ministry changed their name to the Rainbow Ministry. Today, 66% of U.S. Unitarian Universalist (UU) congregations and 94% of Canadian UU congregations are recognized as Welcoming Congregations. The program is supported by LGBTQIA+ Ministries. Check out the UUA website for more information: http://www.uua.org/lgbtq/index.shtml. BBUUC has now transformed the achievements of the Welcoming Congregation Program into a Ministry that is part of the fabric of our congregation. The Rainbow Ministry is tasked with building relationships and fostering awareness of LGBTQIA+ people, their families, and loved ones with activities that encourage acceptance of, understanding of, and respect for LGBTQIA+ identity in oneself and others. Our Rainbow Ministry has led us in participation in the Jacksonville Gay Pride Parade and Festival events for several years. We have been involved in state government lobbying/meeting events in Tallahassee, and also bring our message of inclusion to other events throughout the community. The Ministry is also focused on increasing awareness of our congregation along with a warm invitation of welcome to our local LGBTQIA+ people, their families, and loved ones and for those who might find a good match with our spiritual community. Volunteers who work in this Ministry are also tasked with making sure that LGBTQIA+ sensitivities are maintained within the church, throughout worship, celebrations, programs, governance, social affairs and activities. Because there are two main functions of the ministry, they meet twice a month. On the second Sunday of each month, they meet at 12:15 pm at BBUUC. This meeting will be primarily discussing/implementing the education and outreach aspect of our group. In 2019, will be a focus on the Intersex part of LGBTQIA+. The other meeting will be on the third Thursday of the month at 7:00 pm at BBUUC. This one will be the ministry part of Rainbow Ministry. “Open” and “private” people identifying as LGBTQIA+ will meet for friendship/sharing/caring. Making BBUUC/church more visibly LGBTQIA+ welcoming. Trying to get more LGBTQIA+ people, their families, and loved ones to the church by reaching out to JASMYN and PFLAG, and being found on search engines. Community presence (River City Pride parade, pride festival booth, JASMYN support, Spring run, etc.) including publicity on our welcoming congregation’s existence. Supporting the Rainbow Railroad and helping LGBTQIA+ people who are persecuted. More info on this later, international rescue! Engage the church in supporting the values of our emerging ANUNNAKI Foundation, which will support the parents of intersex children, educate hospitals and lawyers, and even gift their children, similarly to the Make-A-Wish Foundation. The ANUNNAKI Foundation’s mission statement is backed up by over ten human rights organizations. Please email welcoming_rainbow@bbuuc.org if you have any questions.